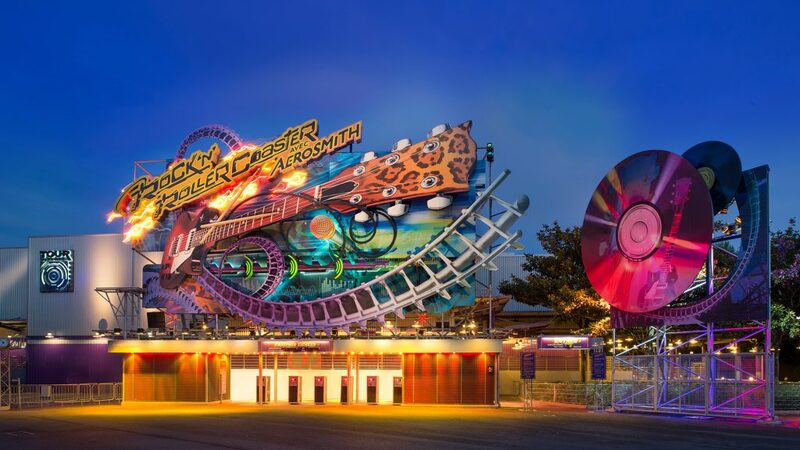 Fans of Rock ‘n’ Roller Coaster starring Aerosmith finally have a timeframe for the last ride before it closes permanently to be reimagined as an Avengers roller coaster at Walt Disney Studios Park in Disneyland Paris. According to the Disneyland Paris website, Rock ‘n’ Roller Coaster starring Aerosmith will close in September 2019 as Disney works to add Marvel experiences into the park. More specifically, the last day of operation will be September 1, 2019. The new Avengers roller coaster is just one part of a larger Marvel-themed land coming to the park. This new area will allow guests to encounter the characters from the Marvel universe in new and exciting ways, from the mystic arts of Doctor Strange to the gravity defying feats of Spider-Man. Guests will also experience the latest in Pym Technology with Ant-Man and Wasp and be wowed as Iron Man, Captain Marvel, Black Panther, Captain America and more leap into action. Of course, this work is part of a much, much larger reimagining of the Walt Disney Studios Park in Paris. The park will receive upgrades to the tune of €2 billion and three new lands themed to Marvel, Star Wars, and Frozen. This Marvel-themed land is the first step of a multi-year process of expanding Walt Disney Studios park as well as upgrading current attractions and lands. Rock ‘n’ Roller Coaster featuring Aerosmith debuted in March 2002, and features a 62 mph launch and 5 different soundtrack/lighting show elements. Stick with BlogMickey.com for continued coverage of the massive reimagining of the Walt Disney Studios Park in Disneyland Paris over the coming years.